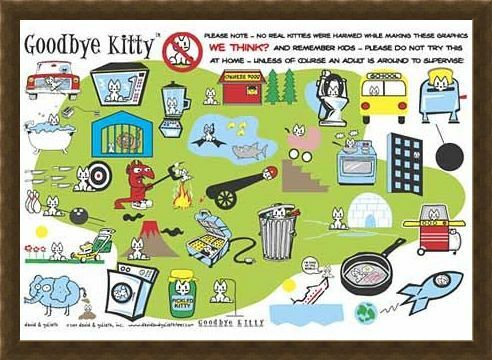 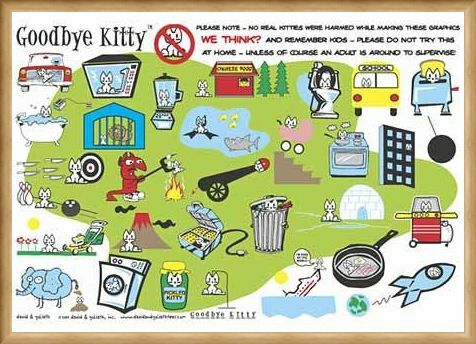 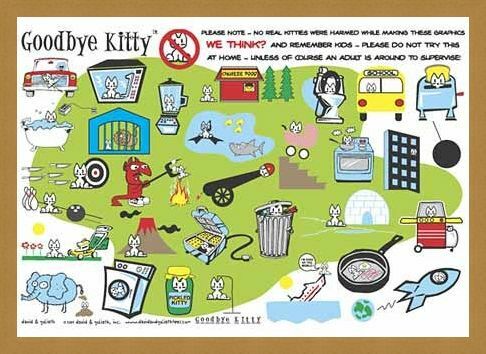 Humour Poster: Goodbye Kittie is a very accident prone little cat who always seems to be getting into deadly situations. 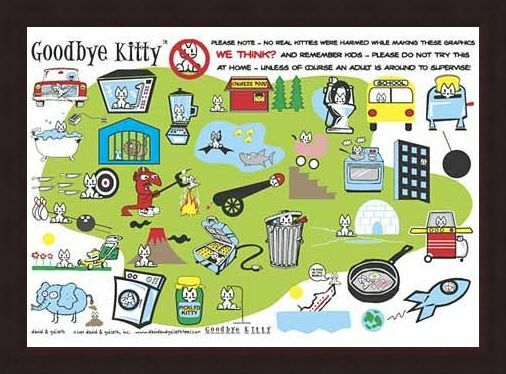 From the legendary comical franchise, David and Goliath, Goodbye Kittie is a collection of merchandise which portrays the tragic life of the little cat who used up his nine lives a long time ago. 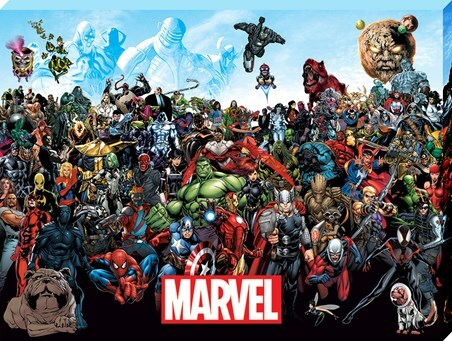 This excellent poster shows Kittie in some of his most memorable final hours including a nice bubble bath just as an electrical toaster appears out of no where, accidentally shutting himself in the microwave, scuba diving into the path of a shark, sitting in a blender and getting roasted like a marshmallow by who other than the devil! 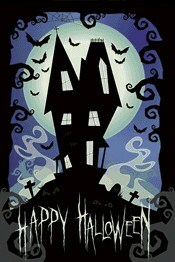 A wonderfully light hearted poster which will keep you giggling for hours. 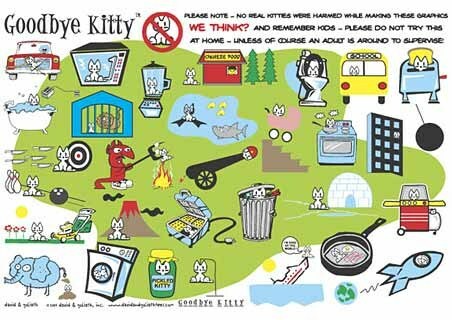 Please note, no kitties were harmed during the making of this poster! High quality, framed Goodbye Kittie Collage, David & Goliath Characters poster with a bespoke frame by our custom framing service.